The word ‘passion’ gets thrown around a bit, but I think i’ve truly found mine! For years i’ve had an SLR camera. I have many types of cameras because I just love photography, but i’ve never really had the skills to match my cameras. Settling for the safe old ‘auto’ function, dreaming of creating images that evoke the excitement of places that I see with my own eyes. For that’s what I believe photography to be – the ability to capture a moment that you see with your eyes, feel with your heart and remember with your mind. So my photography journey has been long, starting quite young and just plodding along. Enjoying many wonderful experiences along the way. But there comes a point when you realise you love something so much that you really should just dive straight in, head first, and do what you’ve dreamed of doing – make it your passion. So, I got that chance yesterday, thanks to a certain husband of mine. See, he’s recently developed his ‘passion’ and has been begging me to find mine. I’ve been pretty good at throwing up excuses, because I have always been afraid of the ‘technical’ side of photography. Dismissing it as ‘too hard’ and although I tried and tried to read all sorts of information about it, I’m a hands on learner. I have to learn by doing… Along comes Mark Gray. My husband knew I had been following Mark Gray’s work for a while, and thinking that instead of going to do a photography course in an institution, I dreamed of going along to one of his workshops. But, I never really thought I would… until my husband spoke with Mark’s wife and they set up a one on one workshop in the city! I nearly wet my pants! I really was THAT excited! As time drew closer, I started to get incredibly nervous, letting those ‘self doubting’ thoughts creep in… “I won’t understand a thing Mark tells me” … but there was my husband, pushing me along, assuring me the whole way that it would be the best thing for me! Timing didn’t end up being great, as we lost our Grandma the night before I had the workshop. It made leaving my family for the day just that bit more difficult, as I felt selfish, but I knew it was a once off chance! Off I went, rugged up like an eskimo and I met Mark Gray on the steps of St Pauls Cathedral in Melbourne. I’d hired a camera for the day, one that we have on our wish list, and my nerves were sky high! But, with all of Mark’s success, talent, knowledge, acclaim and passion he is single handedly the most down to earth guy you could meet. His calm and incredibly knowledgable manner meant that I felt so relaxed telling him that I really have no idea about how to maximize my camera’s capabilities. We sat and went through everything. I asked a million silly questions, and learnt double that in return. I experimented, forgot things, tried new things and ended up finishing the day on such a high that I dreamt about focal points, aperture settings, ISO, polarized filters, dynamic range, white balance and histograms! I woke up the morning after in such a buzz, first checking the time of sun set and what types of clouds were in the sky! I’m well and truly hooked. It’s proof here that education is the key. If you want something, go out and get it. There is no thrill like learning something new and giving it a shot. The knowledge that I have walked away with now, was something i’ve wanted to have for years. And by just having a go, I have opened up a whole new world of possibilities for myself. That excitement you have when you can’t stop thinking about something, that’s what having a passion is all about. I now can look at photographs I see and understand the lengths to which people will go to capture ‘that’ moment. There are so many things that go into single photographs that our wonderful ‘snap happy’ culture will gloss over. But that’s ok. There is a wonderful place for snap happy photos, just as there is for iPhone photos, and analogue photos… but there’s now a special place in my heart for pure, un-edited, in the moment ‘hero’ photos! Thanking Mark Gray for his wisdom and patience with me (and for putting up with the freezing conditions! ), and to my husband for knowing what it was that I truly needed… this is just the beginning of a new phase in my photography journey! These Days Are My Days And I’m In Love With Photography! What do you think? 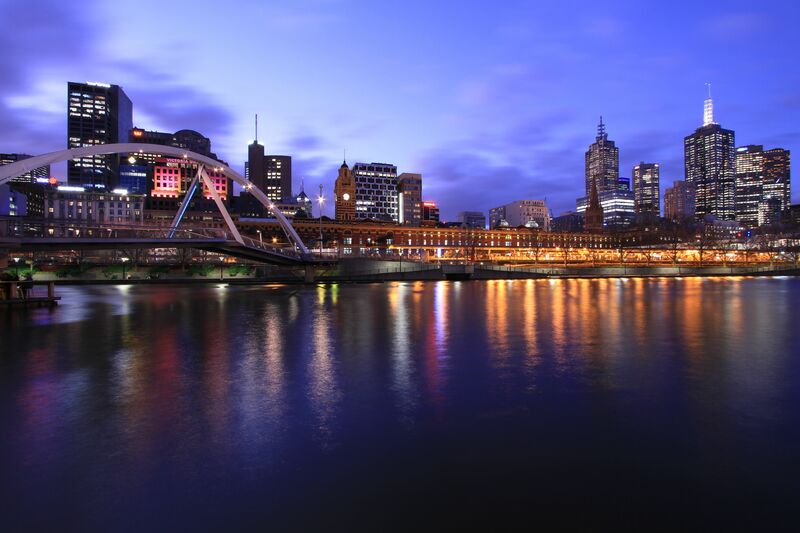 These were taken the Yarra River and Flinders Street Station, in Melbourne. 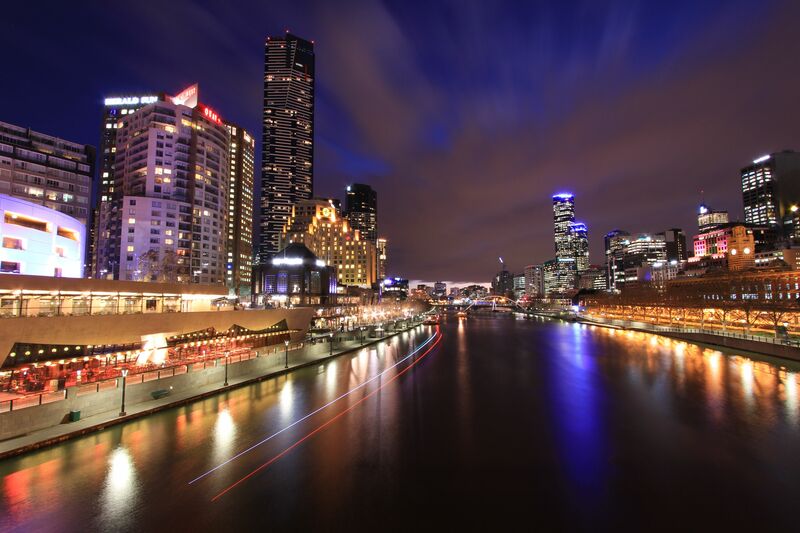 In the ‘magic hour’ right when the cities’ lights are coming on but the sky is still vibrant. It was exciting waiting for this moment, Mark called it ‘being on the edge’ – which is so true! I was using a Canon 7D. Love these pics Linz! 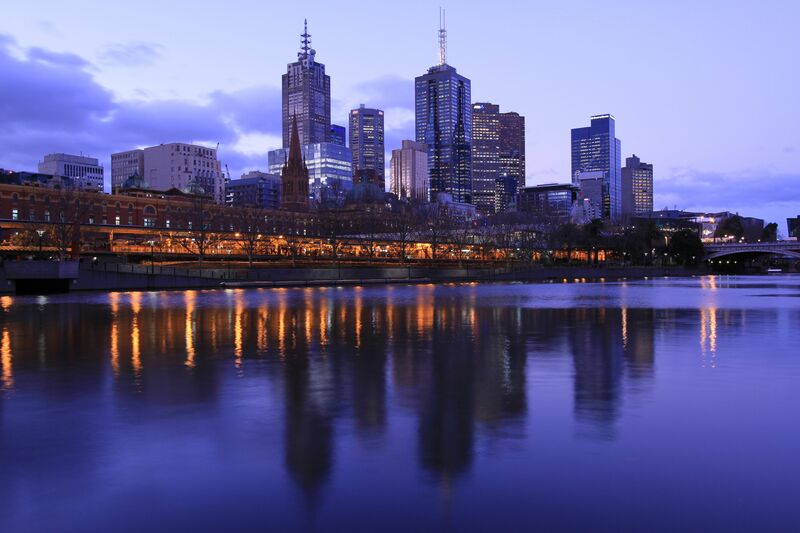 Do you remember the settings you used for the one of Flinders St Station? Thanks Trav – it was so much fun! I certainly remember the settings, we’ll have to have a photo-sesh one day! Love these pics Linz! 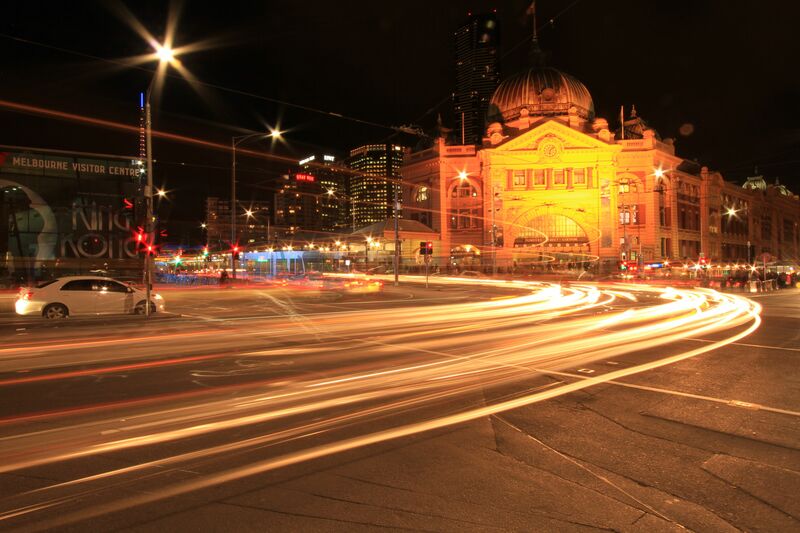 Do you remember the settings you used for the shot of Flinders St Station? such beautiful light! enjoy playing in manual!